Children will love spending a fun-filled day at the Bristol Zoo and Garden, where more than 450 species of animals can be found. Most of the exhibits are undercover, making this the perfect destination for family outings come rain or shine. Featuring themed habitat areas, kids will be amazed by Gorilla Island and the Seal and Penguin Coast, where an underwater viewing area makes things a little more exciting. There is also Monkey World, a reptile house, aquariums, exotic birds and an adventure course (ZooRopia) for children of any age to let off some excess energy. The zoo also features a café, gift shop and picnic areas. 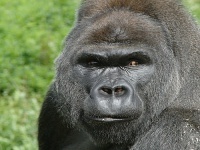 There is so much to see at Bristol Zoo that a full day's visit is strongly recommended. Parents of children with special needs will be delighted to know that Bristol Zoo prides itself on its accessibility, with all areas navigable by wheelchair.